them, bits between their teeth. exactly as she tells it to. Slowly, but surely, Spring is extending her reach through the land here in the mid-Atlantic. Chubby little robins are hopping around the yard and orchestras of Spring chirps fill the morning air. Blossoms and buds are beginning to appear and the Holy Hygge of Winter is yielding to Spring temple cleansing and re-arranging. The Spring Equinox, Lakshmi celebration, and Kuan Yin’s birthday inspired the Spring Altar migration and there are still some transitions to honor as the energies rise with the season and invite renewal and inspiration. I feel it, the rise, the sacred sense that change is upon me, and I am ever so grateful for this newness after the challenges of Winter. April is going to be very interesting astrologically! We have a New Moon in Aries, Full Moon in Libra, Mercury in Pisces in the shadow phase since going direct, and three more planets will be stationing retrograde in April: Jupiter (4/10 – 8/11/19), Saturn (4/30 – 9/18/19), and Pluto (4/24 – 10/3/19). We will all feel the effects of these retrogrades, but to varying degrees according to our charts. Stay tuned for Astrology Updates from Mary Lomando who is heading back home from Egypt soon! Also, Audrey Alison has her Astro-Tarot Forecast videos up on YouTube for April. 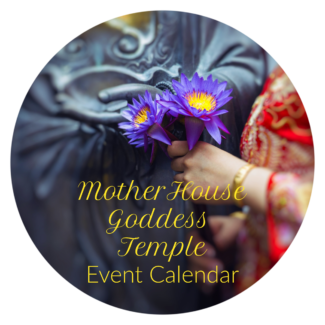 I am delighted to unveil Patreon offerings for my work and MotherHouse Goddess Temple. 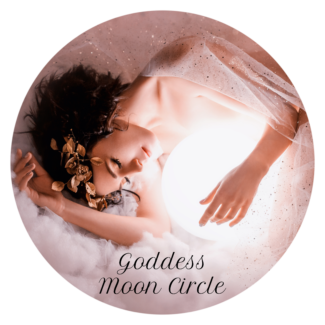 There are several ways that you can receive exclusive monthly content, join the new Goddess Moon Circle, and support MotherHouse! It is an exciting opportunity to nourish the expansion of all of our programs and community offerings. 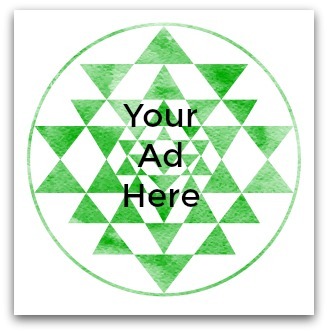 Please take a look and join me! BLESSINGS on your Spring and the Goddess HolyDays coming! May Goddess support you and keep you in all of your intentions and endeavors this month! Refresh your altars and add fresh flowers and candles – bring Spring! 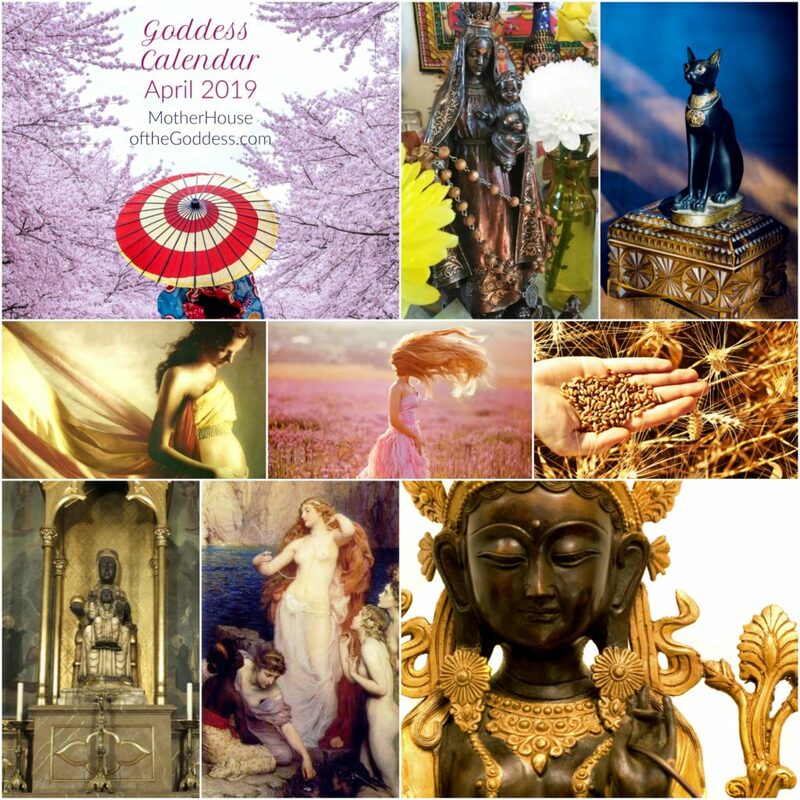 Sign up for a Spring Goddess reading special to call in your Goddesses for this season! 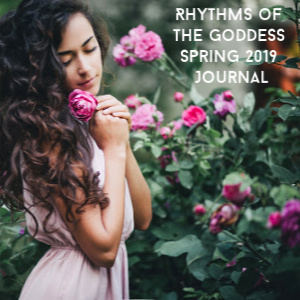 Sign up for Rhythms of the Goddess Spring Journal for extended prompts, practices, and ways to honor the Goddess Holydays! April is the month of the Sabine Goddess Flora, She of the Flowering Plants. Konohanasakuya-hime is a Japanese Goddess and the “cherry tree blossoming princess”. Cherry blossom festivals begin in March and extend through May. April 1 – Feast Day of Roman Goddesses Fortuna and Venus. Also, the day of the yearly ritual bath of the statue of Venus by Her Priestesses. April 4-10 – The Megalesia was dedicated to the Goddess Cybele (Magna Mater). The festival began with a ceremonial offering of herbs at Her Temple. April 22 – Earth Day – Celebrate Gaia! 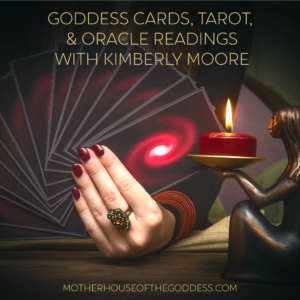 Devotion – Practices for Spring & the Sacred Heart with Kimberly Moore – starts 3/31/19! Kwan Yin Revealed: Exploring & Becoming the Bodhisattva of Compassion with Sandy Boucher & Kimberly Moore – SPRING BIRTHDAY SPECIAL! 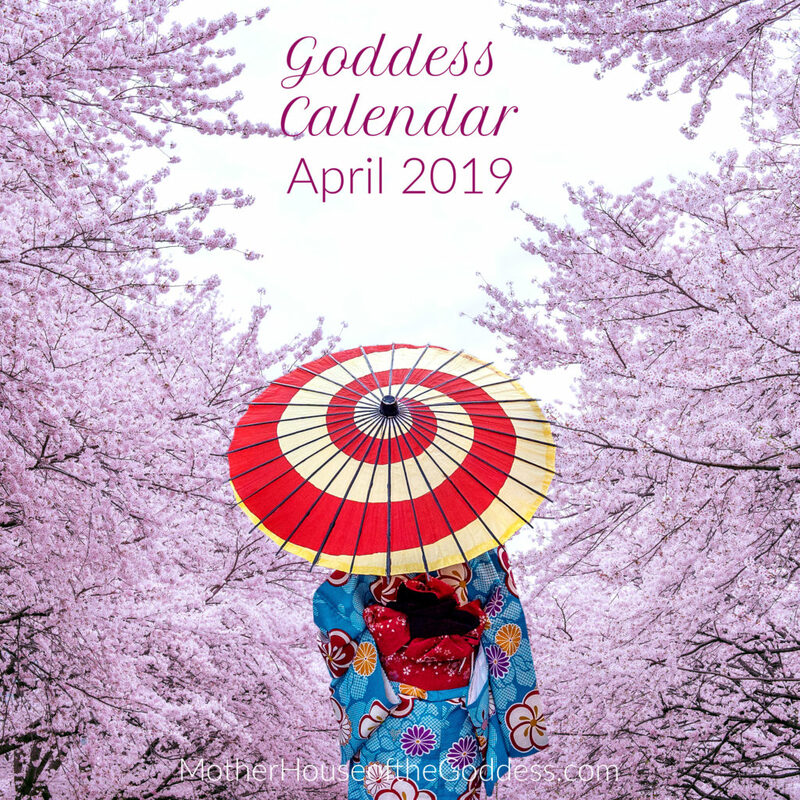 Rhythms of the Goddess Spring Journal 2019 – prompts & practices to celebrate the Goddess HolyDays! 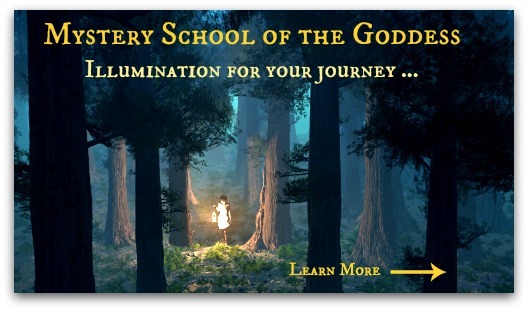 The Shaman Witch with Renee Starr – Early Bird Specials through 3/31/19! Healing with the Goddess: Myth, Medicine, and Mystery for Awakening with Katherine Skaggs – Spring Special! Mermaid Magick with Kimberly Moore – 30 Days of Water Spirits!